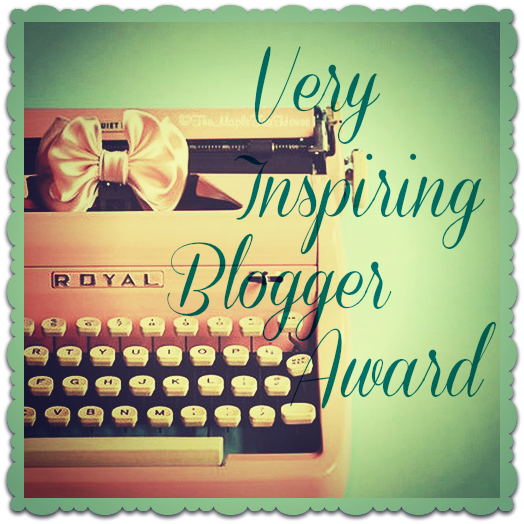 Around two weeks ago, Mbak Yoyen nominated me as ‘Very Inspiring Blogger Award’. I do not feel that I deserve the award, like Leonardo deserves an Oscar, but of course I will take it. Mille merci Mbak Yoyen for giving me this award. I have a very good touch-type skill, but I type with two finger in the typing machine (oh yeah I still use typing machine at work). Computer with its delete and backspace buttons spoils and makes me afraid of typo. Mojito is my favorite drink! As a mojito aficionado, I have a group of friends with whom I regularly discuss various things (from anatomy to social sciences) over mojito. I am not a clairvoyant but sometimes I see someone else’s future, including my own. For me it is never easy to learn that someone close to you is going to experience a ‘bad luck’. My grandmother taught me to read newspaper since early age. She only allowed me to read Kompas because the other newspapers couldn’t match Kompas’s quality. I fully (and still) agree with her. I do not want to replace my cheap, ugly and not-so-smart phone with a fancy one. Even if people complain about it. Haryanto Arbi used to be my favorite badminton player. Back then, he was kinda cute. Not to mention that he had a powerful jump smash. I prefer dress rather than pants. Contrary to the popular belief, the former gives me freedom to move faster. As required by the rules above, I have to pass this award to another 15 bloggers, but since I am too busy to find 15 bloggers, I will pass it to one blogger than has written so many interesting articles in elegant English, Eva, si Koper Biru. The first 14 persons who read this post (be honest with yourself) are more than welcome to write. You might write in Bahasa Indonesia or in English.